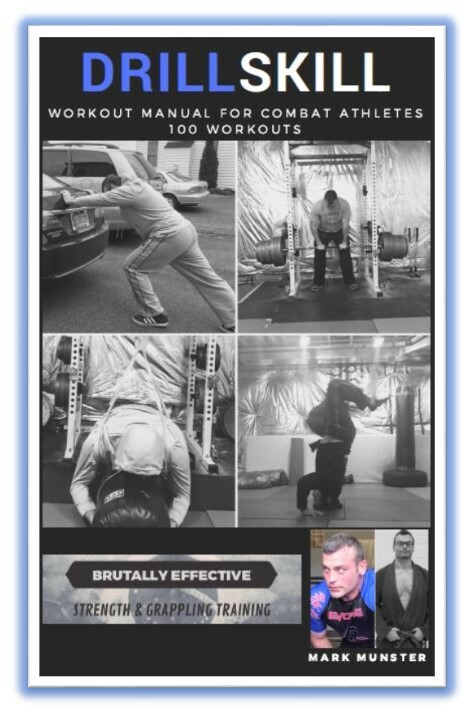 If you’ve followed my writing before, you are well aware that I am a fan of full-body workouts using compound, multi-joint lifts, to boost strength, and using drills for athletes, strongmen/women, and combat athletes to express that strength we are building and provide a sturdy platform to push onto your opponents in your grappling endeavors. Training the muscles of the trunk and torso are treated no different. These muscles are, arguably, the most important when it comes to athletic pursuits and channeling your energies throughout your limbs. Instead of focusing on the “6-pack” muscles, think of the trunk as the collective unit, the system, of the arms, shoulders, and deep stabilization muscles of the core and back. Remember, when you have the option of training a “system” of musculature versus “isolation” movements, if your goal is strength building, pick the system. There are deviations from this concept but I would argue its when you are training for specificity or targeting a particular weak area. My response typically includes some variation of live Grappling & Deadlifts. But that would be a quick story. “Go roll, and go lift heavy things off the floor” is not thorough advice, although it works. So I decided to share 4 things I like to do that might be uncommon but they are highly effective at engaging your entire trunk. By the way, if your not engaging your trunk when you grapple, we need to talk. I can’t even imagine a scenario where you are not forced to use those functions to initiate offense, defend, escape from essentially every position. 1. Carry Something: As I discussed in Multi-Purpose Training, you should always seek out exercises that will work your desired targets of the trunk while simultaneously targeting the other grappling muscles like your grips, and anaerobic work capacity. That is a heck of a lot of bang for your buck for one exercise. If you make one change today, add a heavy carry to your workouts and work it with the progressive overload principle. Any variation will be useful. My personal favorite is the Trap Bar Carry because it targets every muscle from head -to-toe and it will likely take me a lifetime to add weight out to the end of the bar and walk with it. A close second is the bearhug carry if a sandbag. The only problem is that the bag is a fixed load. I can only walk with it for a longer period of time or get creative and do a cumulative fatigue-based workout (eg., ladder sets). 2. Perform Movements from the Knees: The need to generate force to throw, punch, grapple, etc. while you are on your knees means the transfer of power that generally starts with your feet and legs is removed, thereby increasing the need for your trunk and torso to generate that force. If you grapple, you can attest to the challenge of clinching in a “dogfight” position with somebody from the knees. Often, the superior position is gained by the person who gets their feet up first to generate more force. Spending time in this position working your trunk stability and anti-rotation will transfer well to the mat. 3. Use Your Legs as Primary Movers: Your legs are naturally a heavier part of your body. When we limit ourselves to performing trunk movements where the upper body provides the resistance, we quickly adapt. Think of the amount of time you have your legs elevated from your back to keep distance between you and your opponent. That movement and mobility are essential to keeping your guard from getting passed, or from getting punched in the kisser. Adding a few movements to your arsenal will give you something fun to work with. A few options are included in the video below. When you make the surface you rely on to remain upright or in control a “move-able” one you increase your muscles need to fire, rapidly. Try putting your hands and feet on moderately unstable surfaces, like a physioball and two medicine balls or a PVC pipe. For a more rigorous challenge, put all four limbs on rebounding medicine balls. I guarantee you it will be a challenge for every muscle between your head and feet. Train your body as a system. Engage in as close to grappling-centric demands on your musculature as possible. Nothing beats actual grappling, but smart and system-based trunk training can give you an edge over your competition.